Bill Luke Serving Arizona Since 1927! We have been serving Arizona residents since 1927. 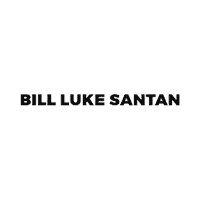 Bill Luke Santan is truly a family owned and operated business. In 1873, a teenager with an adventuresome spirit rode into a remote western town populated by about 1,000 hardy souls, liked what he saw, and decided to put down his roots in the desert. His name was Frank Luke and the town was Phoenix. In the years that followed, Frank married, raised nine children, prospered in business and spent the last 20 years of his life in public service. At the time of his death, in 1939, he was State Tax Commissioner. Frank Luke Jr. was the fifth child of Ottilia and Frank Luke. He only lived for 21 years but his name and deeds will live forever in American military history. 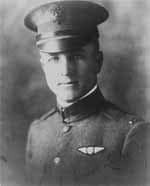 Second only to Captain “Eddie” Rickenbacker, as the leading ace of World War I, Luke was credited with 18 “kills” in nine months of combat. Rickenbacker was quoted as saying: “Had he (Luke) lived, he would have put me out of business as the Army’s leading ace. Lieutenant Frank Luke, Jr. was posthumously awarded the Congressional Medal of Honor, had a statue erected in his memory in the mall of the State Capitol and was further honored when Luke Air Force Base was named after him. Frank Luke Jr. was the fifth child of Ottilia and Frank Luke. He only lived for 21 years but his name and deeds will live forever in American military history. Second only to Captain “Eddie” Rickenbacker, as the leading ace of World War I, Luke was credited with 18 “kills” in nine months of combat. Rickenbacker was quoted as saying: “Had he (Luke) lived, he would have put me out of business as the Army’s leading ace. Lieutenant Frank Luke, Jr. was posthumously awarded the Congressional Medal of Honor, had a statue erected in his memory in the mall of the State Capitol and was further honored when Luke Air Force Base was named after him. William “Bill” Luke was the youngest of Ottilia and Frank Luke, Sr.’s nine children. He was always fascinated by machines and in 1927, at the age of 18, jumped at the opportunity to get in on the ground floor of a young, growing industry. He was to become the founder of Bill Luke Chrysler-Plymouth and continued as head of the automobile dealership until his passing in 1988. During his years as an automobile dealer, Bill Luke found time to pursue interests in farming, cattle ranching, and was a breeder of thoroughbred horses. 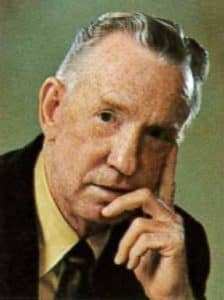 At one time he owned a stable of 70 racehorses and won the Arizona Breeders Award many times. 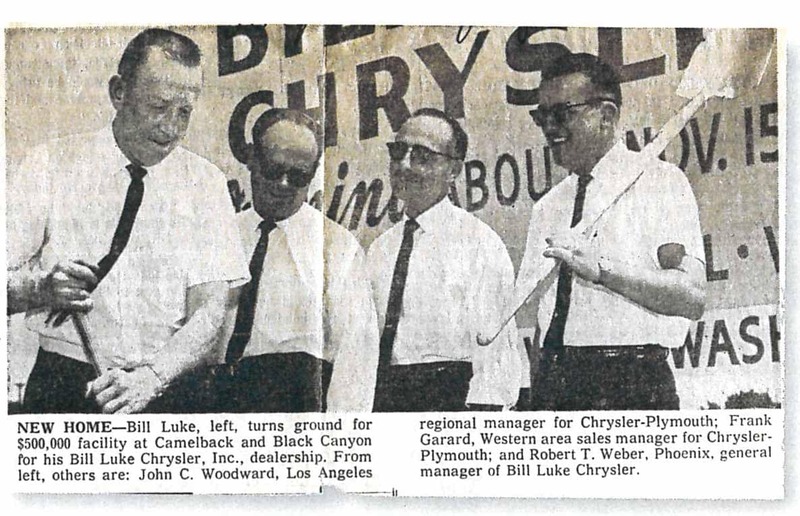 In 1965, Bill Luke breaks ground for Bill Luke Chrysler Dealership. During this same year, his son Don Luke at the age of 20, becomes vice-president of Bill Luke Chrysler. 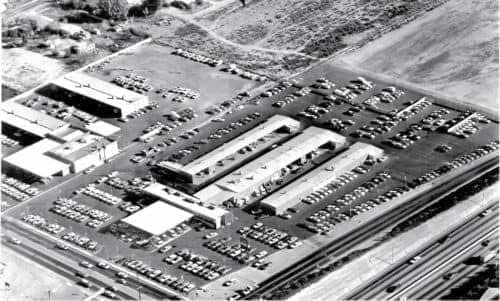 The dealership moves after 32 years in 1967 from the 501 W. Washington Street location, to a new six-acre facility at 2425 W. Camelback Rd. At this location, Don would have his greatest impact. Dorothy and Bill Luke had five children. The youngest was named Donald “Don” Luke; and, like his father displayed an early interest in machines. 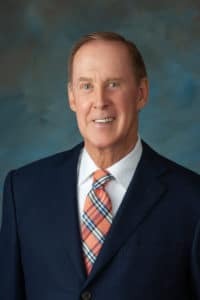 He began working in the family business at the age of 13, progressed up the ladder to General Manager and then to President and CEO of the Bill Luke Dealerships. Don has three sons Ryan, Chris, and Eric… bringing the total number of direct descendants of the Arizona pioneers, Ottilia, and Frank Luke, Sr. to well over 100. Don continued to expand and elevate the family business. In 2006, he opened a brand-new Chrysler, Jeep and Dodge dealership at the Camelback location. In 2010, he bought a Suzuki dealership at the Tempe Autoplex at Interstate 10 and Elliott Road. For a while, he sold both Suzuki and Fiat vehicles there. Then Suzuki pulled out, but the sales operation continued to prosper. He added the Fiat brand in 2012 and later adding Alfa Romeo to the dealership’s large inventory. His sons Ryan and Eric were key in the success of Bill Luke Tempe dealership. 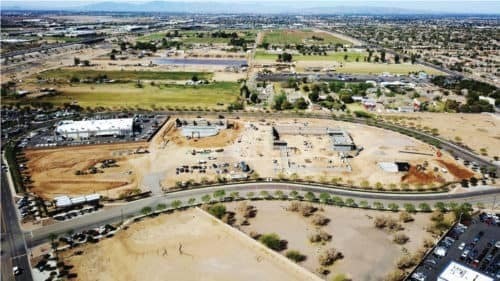 The City of Gilbert will soon have a new 14-acre Bill Luke automotive mega used car dealership joining the Santan Motorplex. The new dealership is attractively designed around a desert color palette with a similar floor plan to the large Bill Luke Chrysler, Jeep, Dodge and Ram dealership located off the I-17 Hwy and Camelback Rd. in Phoenix. 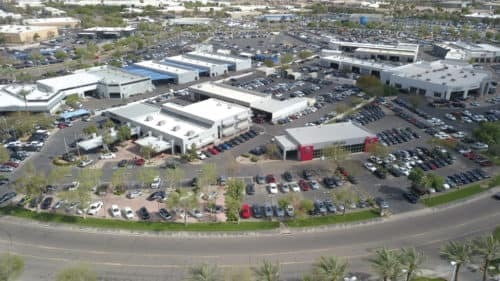 Bill Luke Santan will have a large 24K SF automotive retail showroom and 64K SF vehicle reconditioning facility on the site, located near the Loop 202 Santan and South Val Vista Drive at 3304 S. Speedway Drive. The reconditioning facility will be operated to process and prepare vehicles for the three Luke family owned dealership locations: Bill Luke Phoenix, Bill Luke Tempe, and the new Bill Luke Santan. The dealership recently celebrated a 90th anniversary and Don, at 73, had been asked to be chairman of the Arizona Automobile Dealers Association. After many decades, the family business was still going strong. As the oldest son of Don Luke, he learned at a very young age what it takes to make a dollar. Just like his father, he started working for the family dealership at age 13. After college, he was employed for two years with two dealerships, one located in San Diego and the other in Omaha, Nebraska. From the gained sales knowledge experience working outside of the family business, he was able to help create the sales system we are using today. 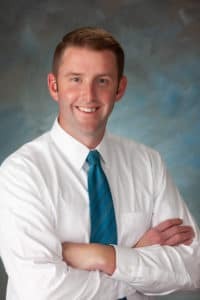 Ryan was the General Manager of Bill Luke Tempe and is on the path of creating successful dealerships, currently working alongside his youngest brother, Eric Luke. Together they outsell everyone with 270 used vehicles per month out of a 5-acre facility. As of November 12, 2018, Ryan is the General Manager of Bill Luke Santan, a brand new 14-acre mega used car store in the city of Gilbert, at the Santan Motorplex. Chris is the second oldest son of Don Luke and like his father, displayed an early interest in machines. The sons had a hard-working father who instilled in them, just like his own father had, that if we were not in school they were to be working. He started his career as a lot porter and at 16 years of age, he became a lube technician. 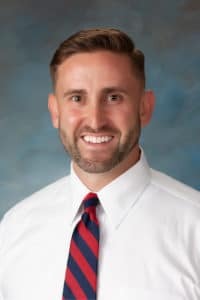 He has a business degree from the University of Arizona and after college, he was employed at two separate out-of-state car dealerships to gain an outside perspective on running a dealership. He continued working his way up in the dealership as he began working on cars, to later working for the Bill Luke Body Shop. Currently, as the Service Director, he helps with the service management side of the family business and does a fantastic job. 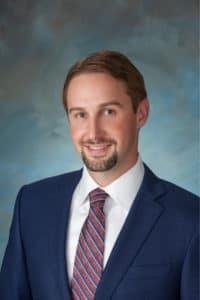 The youngest of the three sons, Eric, just as his father, began working for the family dealership at a young age and recalls being the only the 14-year-old working 40 hours a week during summer vacation. He has always had interest in the sales side of the family business and learned from each of the department heads at Bill Luke. After college, he was employed for two years with a Chrysler dealership in San Diego and an Omaha, Nebraska dealership to gain outside skills in sales. From his experience, he was able to implement some great ideas for the family dealerships. As the Alfa Romeo and Fiat Director, Eric knows operating a well-run machine requires a lot of manpower and great management. Eric is currently improving processes as the Customer Relations Manager at the large Bill Luke Phoenix store.